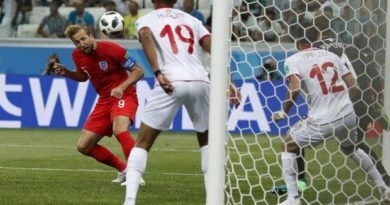 MANILA, Philippines — The Philippine Azkals bombed out of the AFC Asian Cup with a 1-3 setback to Kyrgyz Republic Wednesday night in Dubai but took consolation in netting a historic goal in their maiden stint at the Continent’s most prestigious tournament. Needing a win in the final group game to have a shot at the Round-of-16, the Filipinos came out flat and saw their doom sealed by fellow debutant White Falcons, who rode on the red-hot treble of frontman Vitalij to write their own history. The White Falcons finished third in Group C with three points and zero goal difference, a card that assured them of a berth in the next round as one of four highest-ranked third-placers. Kyrgyz became the first newcomer to reach the Last-16 since 2007. Germany-based Lux was on fire against the listless Azkals, finding the back of the net in the 24th, 51st and 77th to put the game beyond reach before Phl captain Stephan Schrock delivered a late strike and gave his side a silver lining in their winless debut over three games. 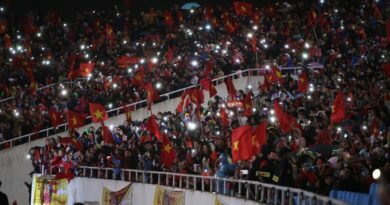 “Regardless (of the results), it was a historic run and an outstanding experience, win or learn, at the biggest stage of Asian football,” said Schrock, whose team held fancied Korea Republic before yielding a close 0-1 defeat in the first game and got a reality check in the next as it absorbed a 0-3 beating from China. “We are all honored to represent our beautiful country. 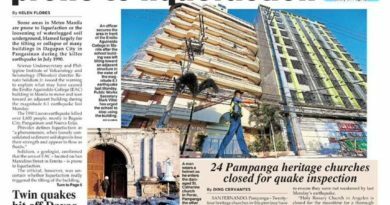 Thank you to our kababayans. We gave it our all,” added the Fil-German dynamo. 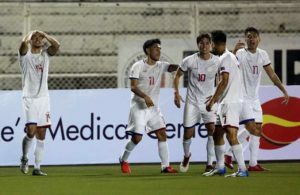 The White Falcons came out more aggressive in the make-or-break fixture, bombarding the Azkals with waves of attempts with Lux cashing in on the creative plays of teammates Edgar Bernhardt and Akhidin Israilov. With 10 minutes before time, Schrock directed a long-range free kick past Kurman Kadyrbekov as the Sven Goran Eriksson-mentored Azkals finally celebrated a goal in the Asian Cup before bowing out.